I am sad to report that Chris Wiggins, a voice actor from the original English dub of the Sailor Moon anime, has died at age 87. 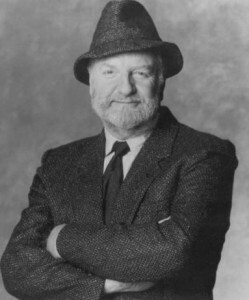 He passed away on February 19th after a long battle with Alzheimer’s disease. The provided the voice of Mr. Baxter from the episode “An Unnatural Phenomenon”. Mr. Baxter was a mild mannered gardener turned ecoterrorist thanks to Nephlite’s influence. 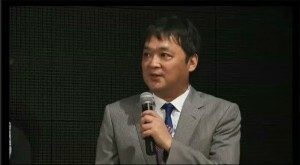 He also voiced the narration included at the beginning of the first episode and episode 41. 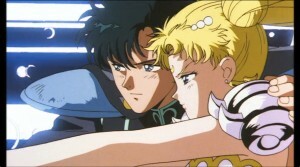 This first narration, added for the dubbed English version, provided excessive spoilers for the upcoming season including the identity of the Moon Princess and Prince Darien as well as the specific fate of the Moon Kingdom. 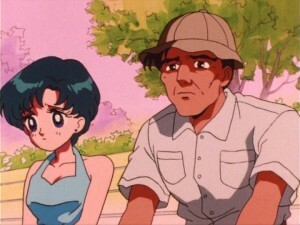 Aside from his brief work on Sailor Moon Chris Wiggins also had a lengthy resume. As a fellow Canadian the roles I knew him best for were Chief Quimby from Inspector Gadget and No Heart from Care Bears. His obituary can be found in The Toronto Star. He will be missed by fans around the world. 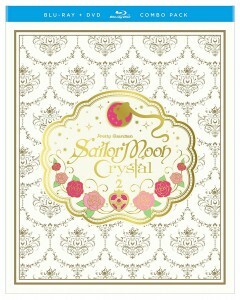 Sailor Moon Crystal Set 2, covering the Black Moon story arc, was meant to be released yesterday, February 21st, on DVD and Blu-Ray. Unfortunately fans will have to wait up to an additional week to see the set which now has a release date of February 28th. The release date has been updated on sites such as Amazon and Right Stuf. Update: This delay only affects the Blu-Ray version. Fans have already found the DVD version on store shelves. Right Stuf posted an updated to their Twitter account on February 21st stating that the release was delayed due to a manufacturing issue. 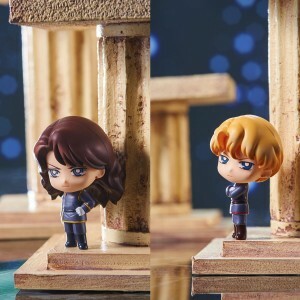 The following day, February 22nd, they posted again saying that the sets were in and would be shipping shortly. 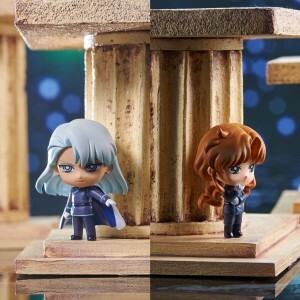 I would expect that stores will also be getting their sets early next week, around February 28th. Let us know when you get yours! 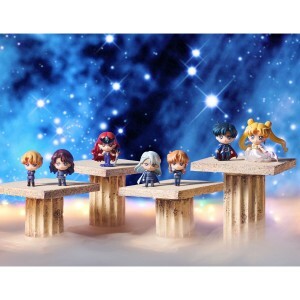 If you haven’t pre-ordered your set yet you can support the site by buying it from Amazon using the links below. This great looking Sailor Moon shirt is available today at OtherTees. Like many shirt a day sites this shirt is available for a low price of $11 but only for a limited time. Seem cheap? It get’s better! You can save an extra 10% off your order by using the discount code SMNEWS. The theme of the shirt “Choose Your Sailor” is inspired by video game character select screens. This is a fictional game screen but we don’t have to imagine what such a thing would look like! 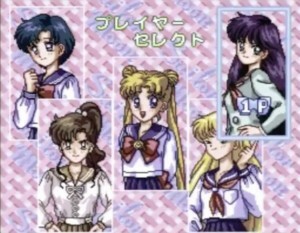 Above is a screenshot from the character select screen for the Sailor Moon Super Famicom game from 1993. 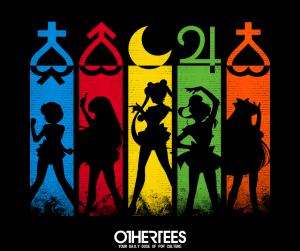 The shirt’s design shows silhouettes the main set of five Sailor Guardians Sailor Mercury, Sailor Mars, Sailor Moon, Sailor Jupiter and Sailor Venus all complemented by their own colour and planetary symbol. The shirt is designed by Skullpy. Check out more of the artist’s work on Twitter or Facebook. Get it now because the shirt will only be on sale for this price until 4pm Eastern Time tomorrow, February 17th. 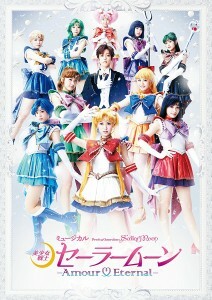 The latest Sailor Moon musical, Pretty Guardian Sailor Moon Amour Eternal, is coming to DVD in Japan on March 15th. 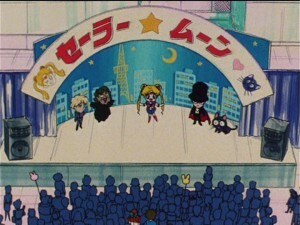 This was announced on the Sailor Moon official site and the Evil Line web site. 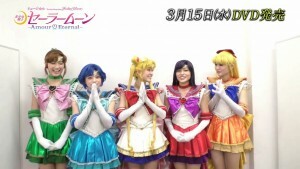 This DVD will be in Japanese only and region 2, which won’t play on most North American DVD players. Why DVD and not Blu-Ray, you might ask? This is a question I’ve been asking myself for the past 3 musicals. Considering there was an HD stream of this musical, I’m a bit baffled we’re still only getting a standard definition DVD. Hopefully we will at least getting a progressive scan DVD as opposed to the 480i releases we’ve gotten for the rest. A commercial for this release was posted to YouTube. Watch the embedded clip below. The DVD is available to buy on Amazon Japan for 6,265 yen, about $55 US or on CD Japan for 7800 yen, $68.82 US. This 2 disc DVD set will include the musical and a number of special features. The musical itself is 2 hours and 43 minutes. An audio commentary by the 5 main actors is included but it isn’t explicitly clear if this is referring to a full length audio commentary. The bonus disc will have 77 minutes of content. 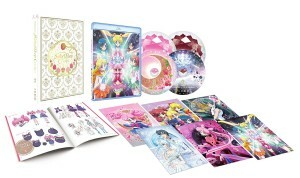 This includes an interview with Usagi, a video of the performance done on Usagi and Chibiusa’s birthday, June 30th, and a special focusing on the Amazon Trio and Zirconia. Also included will be a 28 page booklet which is a sort of program with information about the musical. If you’re looking to support the musicals I would suggest buying this DVD. 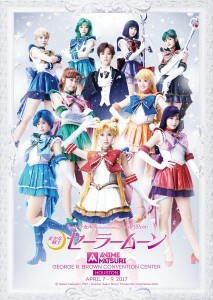 Fans looking to watch the musical with English subtitles can download the fan subbed version released by Miss Dream. 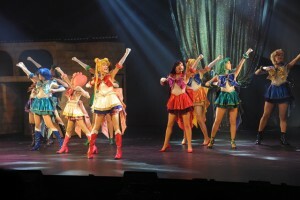 The Pretty Guardian Amour Eternal musical is the 4th in the latest wave of musicals. 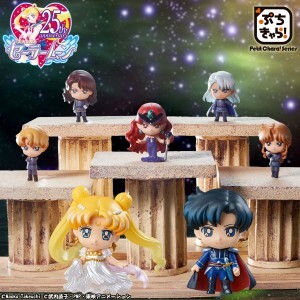 It cover the Dream arc of the Sailor Moon manga, the equivalent of Sailor Moon SuperS in the original Sailor Moon anime, which has the Sailor Guardians teaming up with Pegasus and facing off against Nehelenia and the Dead Moon Circus. 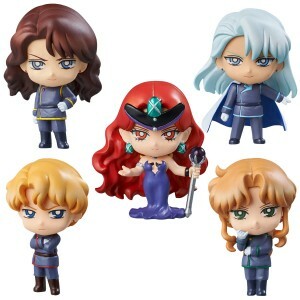 Great news for Canadian Sailor Moon fans! 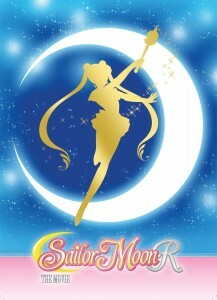 We’ve gotten confirmation that Sailor Moon R The Movie will be playing in Cineplex theatres on March 1st at 7pm in theatres across the country. At this point there are showings in Ottawa, Toronto, Niagara Falls, Halifax, Sydney, Winnipeg, Calgary and Burnaby. You can search to see if your city is playing the film by checking out the Cineplex site. I had a bit of trouble finding listings for all of Canada so I just messed with the search URL to include every theatre within 5000 km of my city which seems to easily cover the entire country. It is possible that more theatres get listed as March 1st approaches. I can’t find any indication of whether these presentations will be dubbed or subbed, but I think it is likely these will all be English dubbed showings of the film. I’ve included a list of theatres planning to show the film as of February 6th for your convenience. Update: Many more cities have been added since I originally posted this list. Check out the Cineplex site to see if your city has showings. Looks like I’m going to be putting my wallet in my front pocket and taking a trip to South Keys! Is the film playing in your town? How far do you plan to travel to see it?